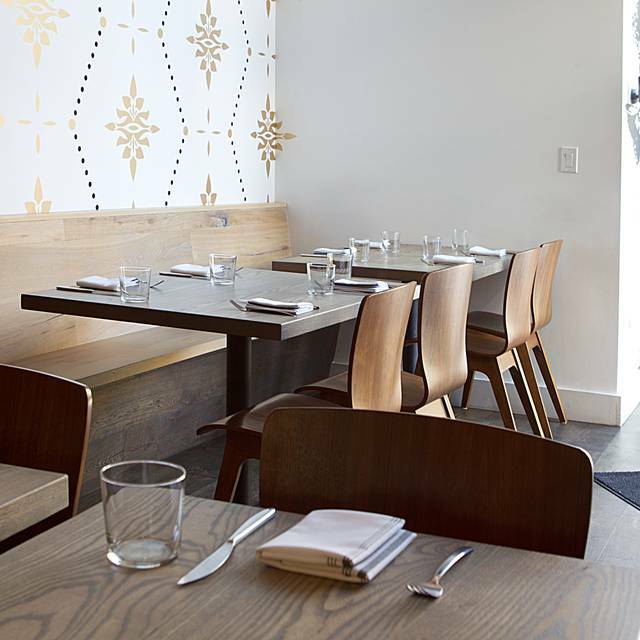 You must make reservations at least 5 minutes in advance of the time at Trestle. In addition to limited street parking, there is a parking garage located on the corner of Jackson & Columbus (entrance on Jackson, closes at 11PM), as well as a lot directly across the street with an entrance off of Columbus. We also recommend Luxe Valet, an on-demand valet service, as a parking solution. The 41 bus stop is 2 blocks away. 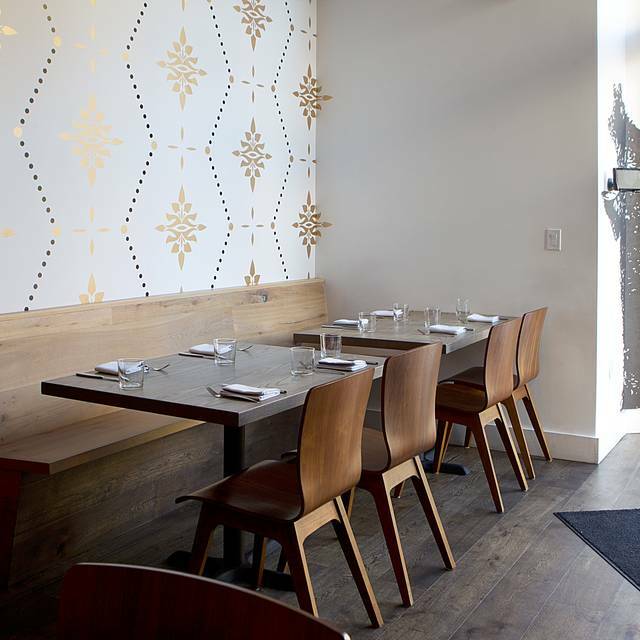 At Trestle, we remember a time, not too long ago, where people took pause to enjoy a meal in the presence of great company, giving it the reverence and respect deserved. We provide a dining experience served in courses, with the satisfaction and warmth found at a family gathering, creating the foundation to a proper meal. Every night we feature a changing 3 course prix fixe menu with choices on each course for $39/person. We will have an optional additional pasta course for $10/person. Our menu is posted nightly by midnight for the following day. 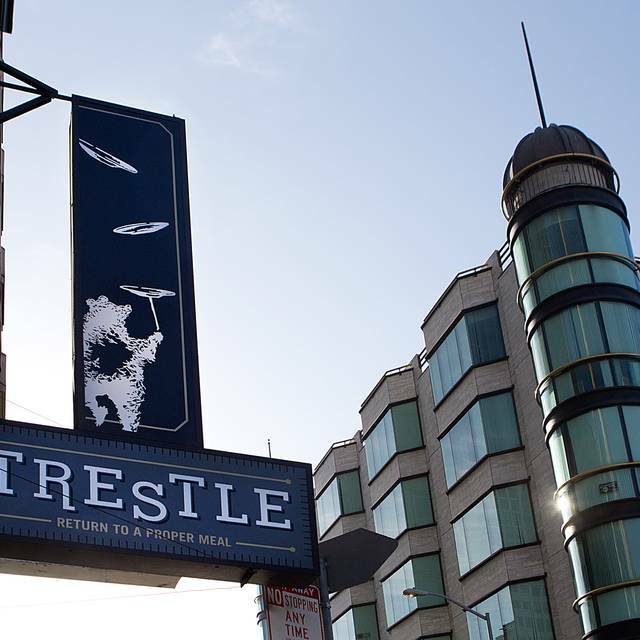 View the menu at www.trestlesf.com We are able to accommodate vegetarian options nightly. 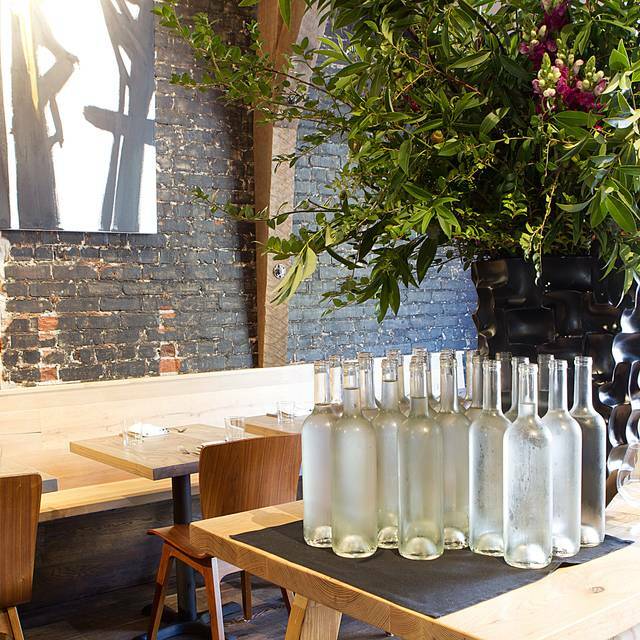 We do our best to accommodate other allergies/restrictions based on the menu for that evening. Food was delicious and sufficient, attractively presented. All four female servers were attentive. The hard surfaces on the furniture and floor made it difficult to hear when the dining room was completely full, but as people left, conversation with your friends became easier. I would reduce the numbers of tables in the dining room given its petite size. Food was okay, nothing to write home about, the salmon was dry. I felt the service was a bit rushed and not personable, turn and burn to get the next seating in. Value was okay, I felt I could have spent less else where and had a more interesting meal. - too many staff asking if they can take your plate. We felt rushed. An evening dinner at Trestle was tasty, delicious & fabulous. We noticed the wait staff expertly move within the restaurant to serve your meal, fill up your drinking glasses, even fold your napkins. Service was very efficient and non intrusive. Ambiance was very nice and you can have a good conversation with your dinner mates. Very very good value for the price of their set menu. The menu varies so you may want to check the website which has their menus updated regularly. This place is a gem. 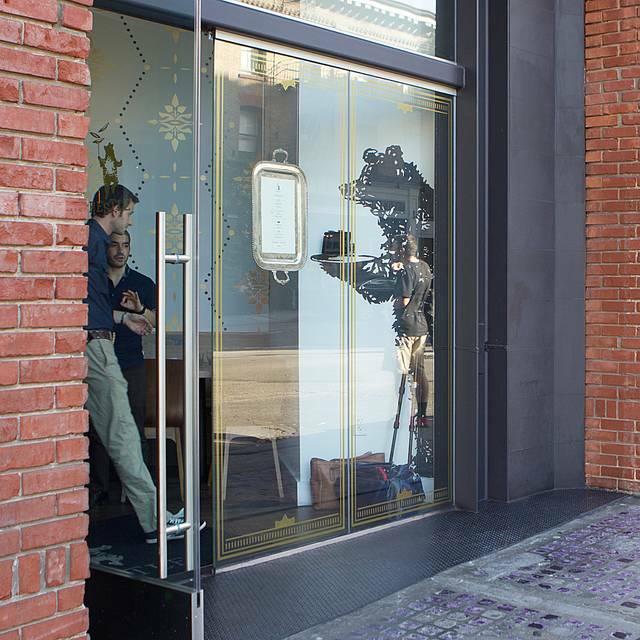 The owners are soon opening their sister restaurant in SF called VAULT in the Bank Of America building in San Francisco. would not hesitate to recommend Trestle to friends and family. Trestle a small , quaint lovely space . The service is attentive but the courses are presented quickly and it is not a lingering romantic restaurant. The 3 or 4 courses (pasta or risotto recommended). Are delicious.Pork loin was dry but flavors were good . Desserts both had bananas and that was not displayed on the menu for the angel cake . Return? Maybe . Not the 4.7 and worth an early reservation . 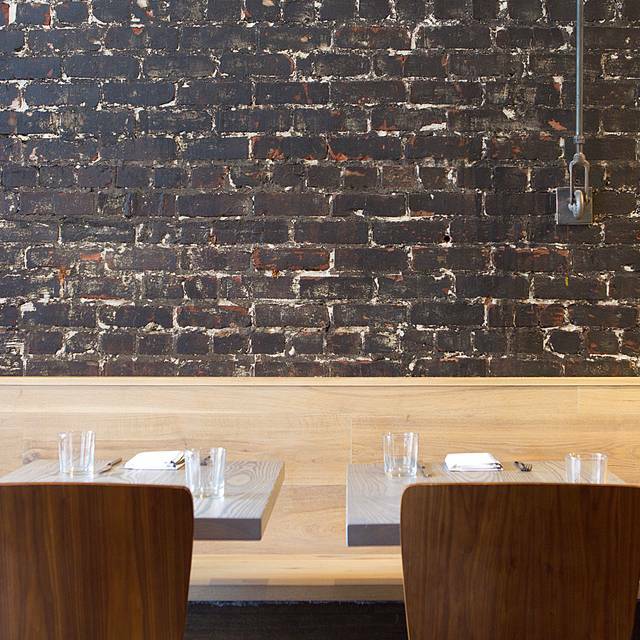 All things considered, one of my favorite Bay Area restaurants. And the menu changes often enough to have a new but still great experience (food and service) each time!!! Trestle is my favorite Resturant! We go at least once a month and more often if we can. I really don’t want to go on and on because I will never be able to get a reservation, however I can’t save enough wonderful things about TRESTLE. They deserve all their success! Great last dinner in the city! 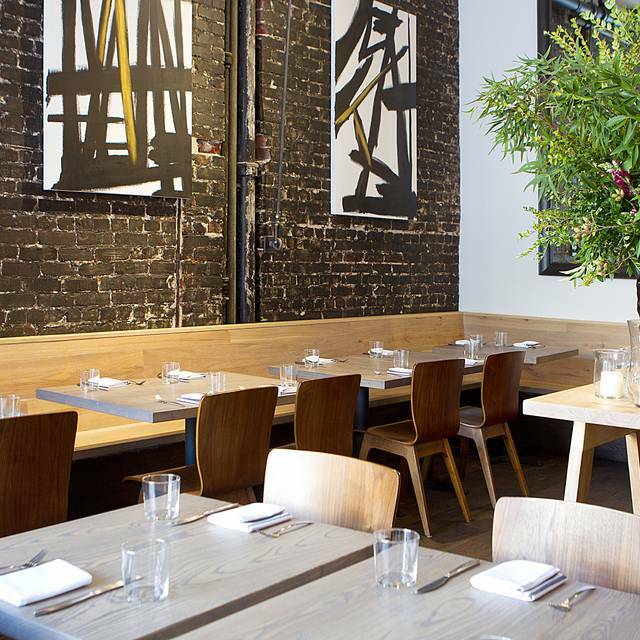 Perfect spot, walking distance from union square and great pre-set menu with an affordable price. The quality is superb and food is unique and delicious. You will never leave this place disappointed. The food is outstanding, the staff is awesome and you won't find a better value for your money in our City. I'd like to see the offering be less safe and more imaginative, however. While easily approachable, my last few meals here have been too familiar and basic. A prix fixe menu is the ideal opportunity to perfect a risky dish and create something more memorable so I'm open to new ingredients and combinations that perhaps a traditional format restaurant couldn't pull off. Great food and unbelievable flowers. love trestle, but the service was unexpectedly slow. We had an 830 reservation, but were seated at 9 (but they did provide a glass of prosecco), but then our second course was not served until nearly 9:50! For a Sunday night, where there were not many other patrons, this seemed a bit ridiculous. I had high expectations and was really disappointed in the food. Everything was meh. I understand it It menu dependent so maybe we just got a bad night. Definitely a great value in the city, can’t argue with that. They also put tables of two together so you pretty much need to be sitting with others. We were chastised when we tried to move a part a bit. Overall very friendly staff just very unimpressed with food. Great as usual. Staff is always attentive but unobtrusive. Food is consistently good. Beautiful atmosphere. Food, wine and service always really good here. It’s a great place to catch up with a friend. Each dish was perfectly prepared and prefix menu was a great deal. Friends birthday celebration! And they gave her a hand written card it was so sweet. Food was fantastic In flavor and presentation - just the right amount of food for us. Food was just superb as always! Service was very friendly. The Fish was so unbelievably tasty. Excellent value. I really love this restaurant. I think the ambiance and dishes are really great. The only issue is that the service has been going down over time. 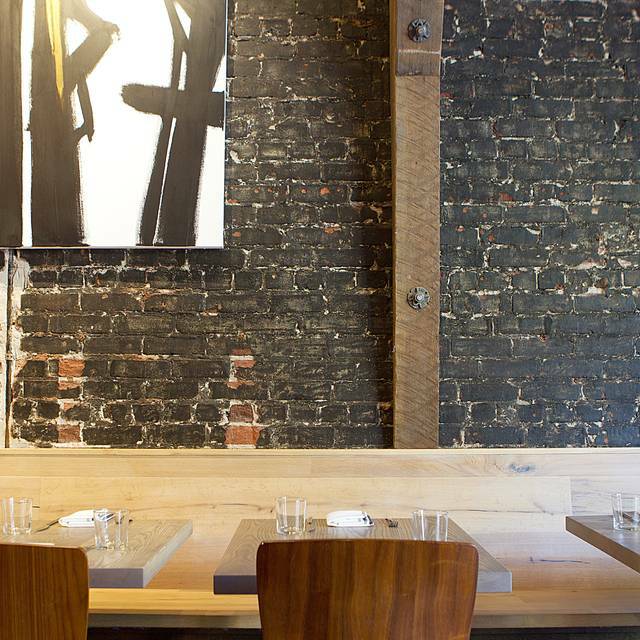 It takes longer to get seated, even with a reservation. And the timing of food service is unpredictable, resulting in food arriving to your table cold sometimes. I will still go for a while longer, but if the service doesn’t improve, I don’t know how much longer I’ll go. 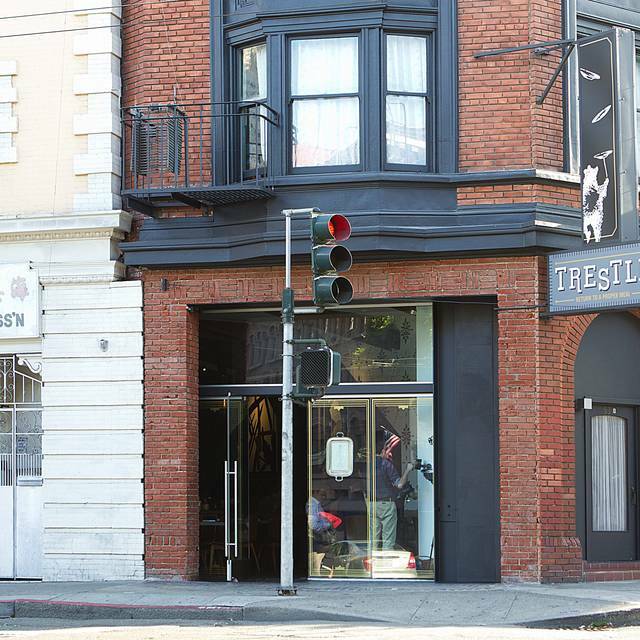 Trestle is one of our favorite spots in San Francisco! The ONLY pitfall is the noise level, but other than that, it's a 10 out of 10 for food, service, and value! Trestle remains a great value for excellently conceived dishes!! All dishes were excellent, from the salad to dessert. The service was good as well, although they kept asking to take away our dishes before we were finished eating. I would recommend this restaurant. Another great meal at Trestle. The staff are excellent and very attentive. The food is presented beautifully and in good portion sizes for a price fixe menu. Would recommend this place to anyone coming to SF. Delicious! Will visit again!! My wife and I love Trestle. From the staff, the cuisine, and especially the value one receives for the prefix menu, it’s hard to find something better in the Financial District. My only issue is the noise. I gave up trying to talk with my friend during the second half our meal as we couldn’t hear what the the other was saying. We had a really delicious meal with great service. It's a small, tight space and filled up quickly so reservations are a must & expect to sit close to other parties. We'll definitely come back. Incredible value of a prefix menu in san Francisco! Great ambiance and friendly staff, and extensive wine selection. Can't wait to go back soon! This season's menu is the best among the few i have had at Trestle. The menu has a good balance of vegetables and meat. The flavors from different ingredients are mixed very well. I particularly like the salad of chicories. It is a difficult dish to make for me since chicories usually come with some bitterness. In this dish, however, the poached egg is at the right level of fluidity that mixes the chicories with other things very well and makes the dish light, pleasant, with just a tiny hint of bitterness. I enjoy it very much! Well done ! Amazing food. Amazing service. Amazing experience. Amazing food and for a 3 course meal at was very affordable. The manager was the one sour note as we sat down and we're catching up and not looking at the menu fast enough for his taste I guess. He came over and asked if we were ready yet and was very pushy that we get looking at the menu, which was odd because he sat us at our table early so not sure what the rush was. Our waitress on the other hand was very lovely and attentive. Our glasses were never empty whether it was water, beer, or wine! The place is very very small so you are right next to your neighbor. Summary: don't skip it! Our dinner was delicious and of great value! I would definitely recommend it to friends and return again! Amazing meal. Exceptional presentation. Great service. Such attention to detail. Loud but cozy. If ever is San Francisco again, would make a point to return. The food and service were really outstanding..one of the best meals we had in months. We will go back again and again! Delicious salad. Server was superb. Delicious dinner and very good service. I would highly recommend it.